The first 2017 Acura NSX rolled off the assembly line this week in Marysville, Ohio. Marking the return of the iconic supercar. VIN #001 went to Nascar Owner Rick Handpick. 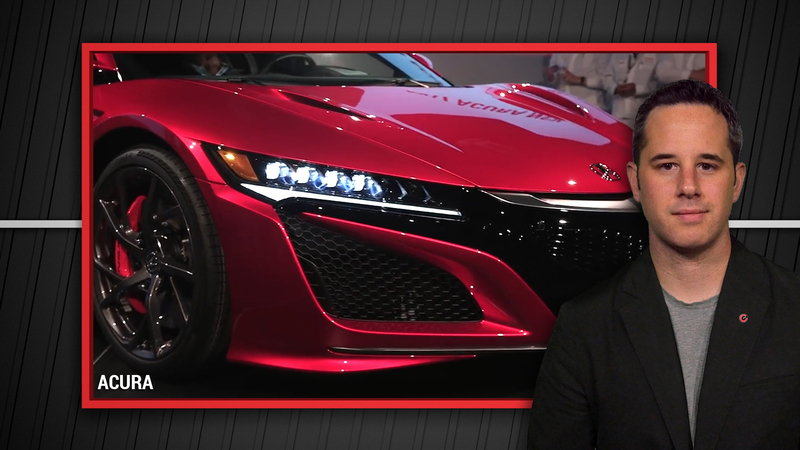 He paid $1.2M at auction for the first NSX. The proceeds went to charity. The 2017 NSX uses a twin turbo V6 teamed with three electric motors to make a total of 573-hp and 476-lb.ft of torque. The supercar also runs a nine speed dual clutch transmission and AWD. The starting price is $157,800 but you can option this thing out to well over $200k. Ford Motor Company applied this month to get the rights to the trademark for the word Zephyr. Lincoln is using some real names again aside from these MKC and MKX things that don't mean a lot to the general public. The Navigator is going strong and a new one comes on next year. Plus it brought back the Continental which was a well revived move. So Zephyr should ring a bell it was used in the 1930s and 40s, it was also used a little less memorably in 2006 on a Lincoln model that was essentially a rebadged Ford Fusion. Here's the take away: we think the MKZ might be rebadge as the Lincoln Zephyr.